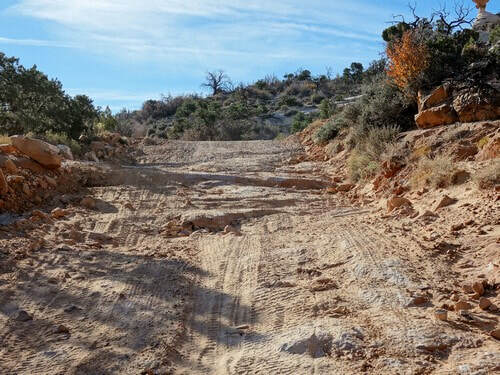 This is an alternate entrance or exit for Elephant Hill via Cottonwood Bridger Road through Beef Basin. Most people run Elephant Hill 3.0 by entering and exiting via State Highway 211. 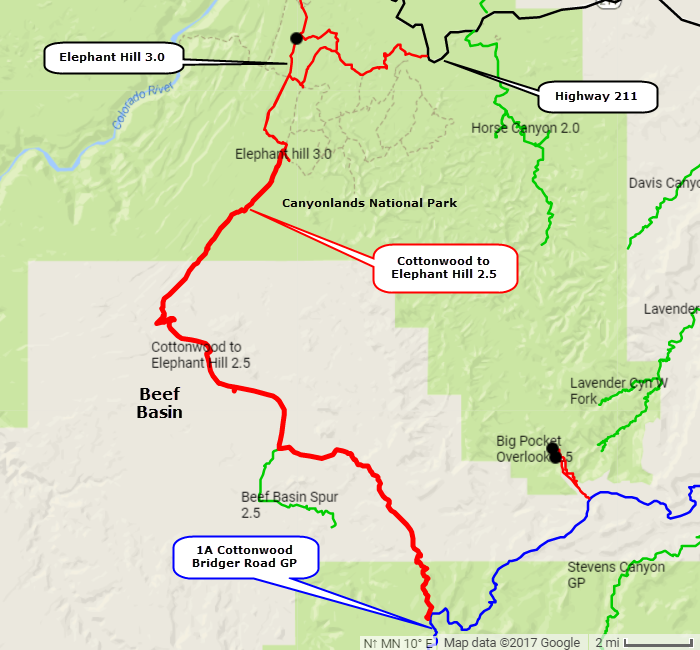 This trail gives an option to see different country by connecting to Cottonwood Bridger Road through Beef Basin. This description starts from Cottonwood Bridger Road. Beef Basin is an area along the middle part of this trail. During the 11th and 12th centuries it was a farming community. The flats you see were dotted with small patches of corn, beans and squash. Cultivation was done with a sharpened stick. The growing plants were watered daily by women who ladled out a portion to each plant. 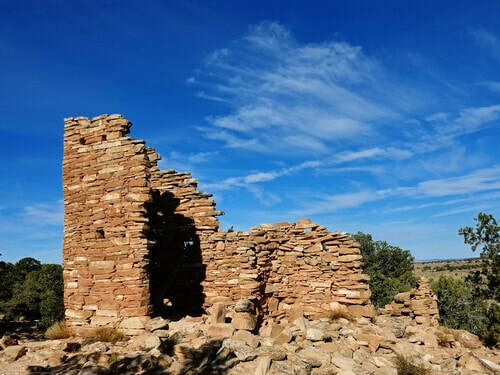 The tower in the opening photo is only one of many ruins scattered over a large area. The ruins are no longer marked so you have to look for them. We did not have time on this trip. The road from Cottonwood Bridger Road into Beef Basin is an easy 2.0, so you can explore for ruins without a hopped up Jeep. 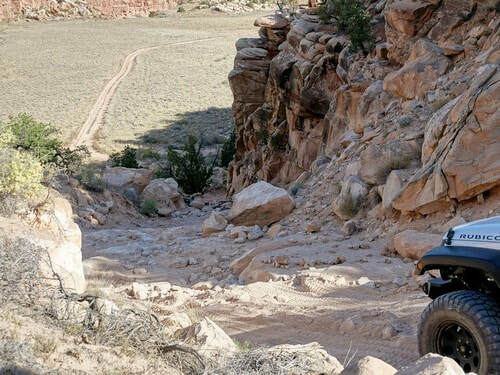 There is a steep, rutted hill beyond the Beef Basin area that is rated 2.5. Family SUVs may not like it. 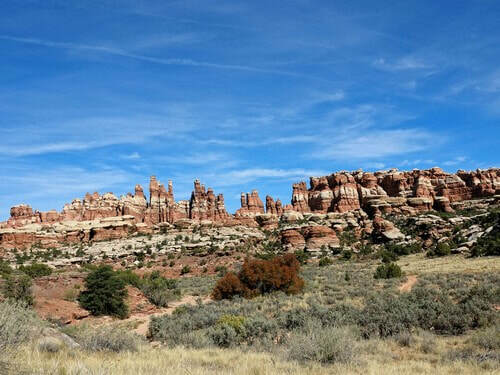 After the hill you will enter the Needles District of Canyonlands National Park. A backcountry permit is required for Elephant Hill. 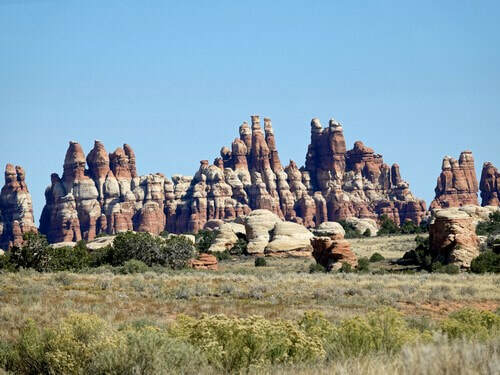 The Needles is a geologic formation for which the Park is named. They are impressive from a distance. They are also impressive as you drive through them. 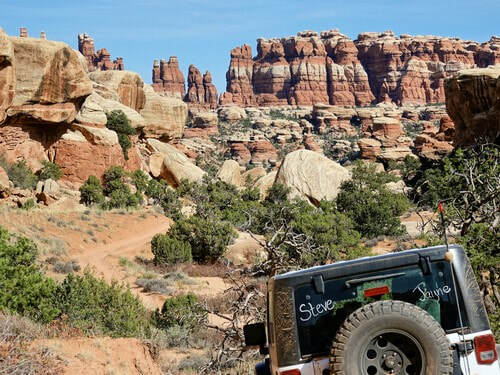 After passing through The Needles it is not far until you intersect the Elephant Hill trail. 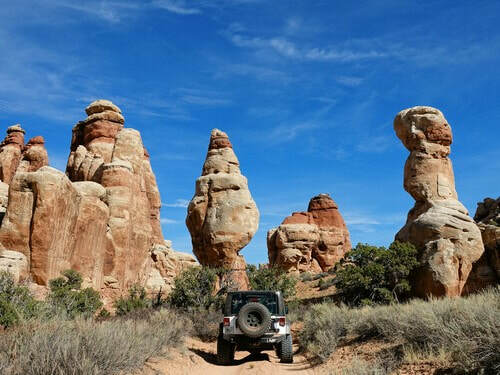 ​It is possible to enter Elephant Hill from Highway 211 and run this trail only through The Needles and back. Return to Highway 211 after doing the remainder of Elephant Hill.